Virginia is the #17 largest school system in the United States, serving 1,282,413 students across the top 2,138 public schools for the 2018-19 school year. Virginia public schools have a diversity score of 0.42, which is higher than the national average of 0.32. The most diverse school district in Virginia is Prince William County School District. Read more about public school diversity statistics in Virginia or national school diversity statistics. 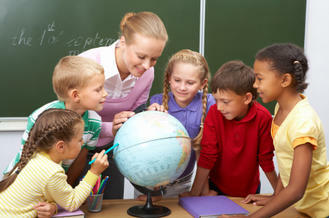 There are 93 Blue Ribbon Schools, 140 magnet schools, 8 charter schools and 53 special education schools. 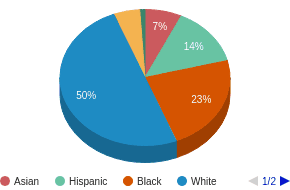 Minority enrollment is 50% (majority Black) and the student:teacher ratio is 15:1. Popular cities: Richmond (91 schools), Virginia Beach (91 schools), Alexandria (64 schools), Norfolk (58 schools), Newport News (51 schools).